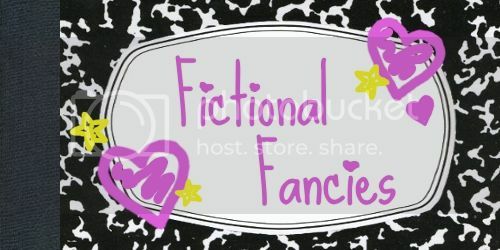 Now, you might think that doing one Fictional Fancy post on a man Timelord with various faces and personalities would qualify as cheating. 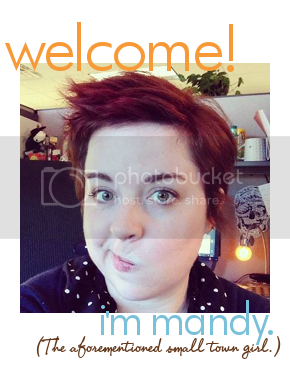 And you might be somewhat correct. 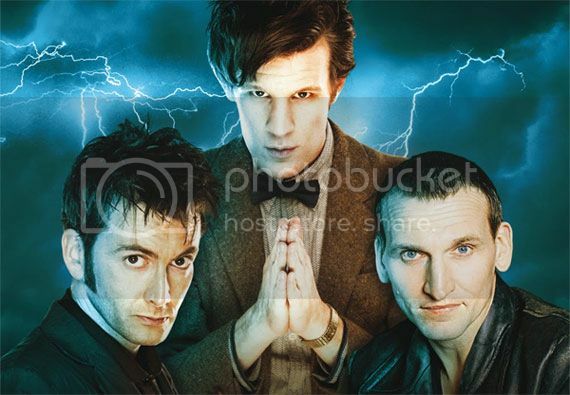 However, the three Doctors I know the best have all shaped the character, and I have reasons for fancying them all. Nine was the first Doctor I really came to know. He could be short and gruff, at times, and he never seemed to be fully happy, even when smiling. To me, it seemed like he carried the weight of his past like an albatross; he performed his duties with aplomb, but there was always something "else" it seemed like he thought he should be doing instead. As for his partnerships, his relationship with Rose was just getting started when he regenerated, and that makes me sad. 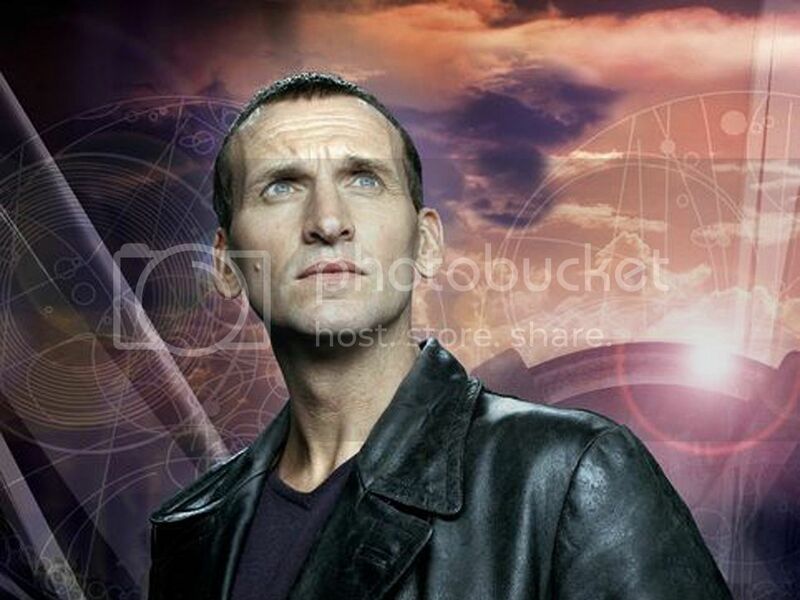 With only 13 episodes, neither Rose nor the viewers really got to know Nine. And I'll be completely honest—I haven't watched Nine's series in years, so my impressions have been tempered by time and the Doctors that followed. Nine's not my favorite, but just because he's at the bottom doesn't mean I don't like and appreciate him. Ten is my Doctor. He was charming and witty with an underlying current of badassery that couldn't be beat. He was so intense at times it was almost scary, but he could be silly, too, when the situation called for it. He had fun, but he wasn't afraid to also, well, destroy things when necessary. His relationships with his three companions were all quite different. He was in love with Rose (and don't you try to tell me any different). He was distracted with Martha. And he valued Donna above all for being able to speak her mind and be (almost) his equal. When he was on the verge of regeneration, my heart broke, and I still get a little choked up when I think about how alone he was (by choice, mind you) right before he changed. 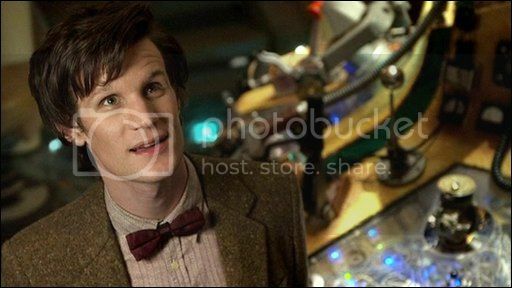 As for Eleven ... a part of me wanted to hate him when we first met, purely because he wasn't Ten. But he soon won over my heart with his childlike actions and gleefully silly nature. As a friend once aptly put it, "Ten would take you on an adventure, but Eleven would stop for ice cream and sprinkles along the way." Even though I'm not a companion and unlikely ever will be (*pout*), I will forever feel grateful that the madman with a box was/is part of my life, and I'm overjoyed that I get to—albeit vicariously—go along for the ride. P.S.—Don't forget that series 7 starts THIS SATURDAY! 9 p.m.(/8 p.m. CDT), BBC America. I cried more and more often with Ten, and I was a sobbing mess when he regenerated. (the line, "I don't want to go" ? omg, waterworks) and I hated Eleven too at first. But his goofiness was so endearing. I was so upset at what happened to Donna and wasn't ready to say goodbye to her. When the Ponds came on I was still mourning Donna and never really got over it, so I was automatically anti-Pond for a little while. The "I don't want to go" line was one of the most heartbreaking things I've ever seen/heard in my entire life. I hate David Tennant a little for being so awesome at that moment. And yeah, Donna's end totally wasn't fair. I still miss her. Oh, and I'll be on a plane when the series 7 airs, cue tantrum. Also, I hope you were able to see it this weekend at some point! "Ten would take you on an adventure, but Eleven would stop for ice cream and sprinkles along the way." Isn't it just the best? I use it all the time in my Who discussions. As you've probably gathered via Twitter and my sporadic facebook updates, I've finally jumped on the Whovian bandwagon, and I have no intention of going back. I really liked Nine, but frankly, I love Ten so much that I'm afraid I won't be able to enjoy Eleven. For now? 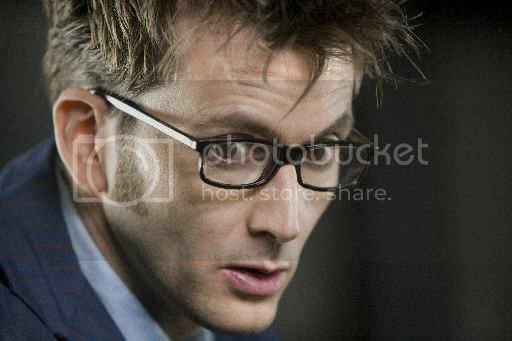 David Tennant, I love you, sir. The end. 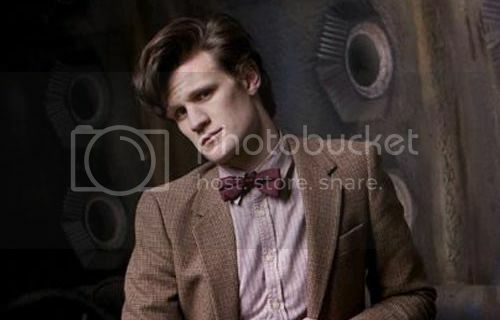 Love the Doctor! 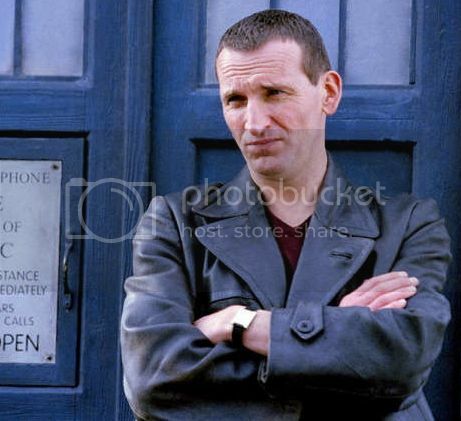 Took me awhile to get into 9, because of my association of Christopher Eccleston as a villain. Then, just when I got really into him, he regenerated. 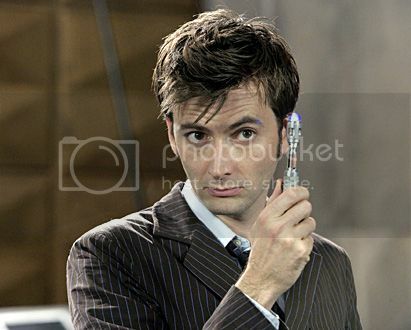 I still have not made the leap from 10 to 11, but I absolutely ADORE David Tennant's portrayal of the Doctor. This show is really just so much fun! Isn't it? And I think you'd enjoy Eleven, once you have a chance to get to know him. He's a hoot, and the Ponds are wonderful. My first Doctor was #4. My favorite doctor for a long time was #5. As I get older I find myself becoming more and more nostalgic for #3. By the end of #10's run I was done with all the romance. Pretty much everything written by Moffat is my favorite episode ever... starting with The Doctor Dances. One of these days, I will get around to watching all of the Doctors before Nine. And I love to hate—and hate to love—Moffat, but I can't deny his genius.